Vestax Portable USB Turntable Recorder Can Record Oldest To Latest MP3Format ! This is a new model MP3 format usb-cable-comes-with-inline-card-reader/">converter, which can be used to convert the older format music collection. The name of the device is sd-card-to-minisd-card-converter/">Vestax Portable USB Turntable Recorder. You can use this device easily; just connect the device to your system via call-graph-skype-recorder-brings-transcription-service/">USB recorder. 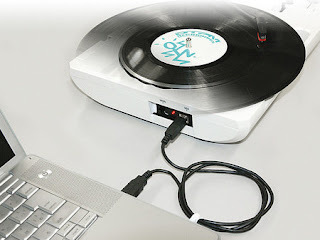 Moreover, this device features a micro-speaker-keychain-gives-your-guaranteed-entertainment/">mono speaker and a headphone output unit, which lets you use the device as a record player. If you have 28,000 Yen ($300) in your pocket, you canimtoo-ipod-movie-converter-brings-high-quality-in-quick-time/"> buy it.